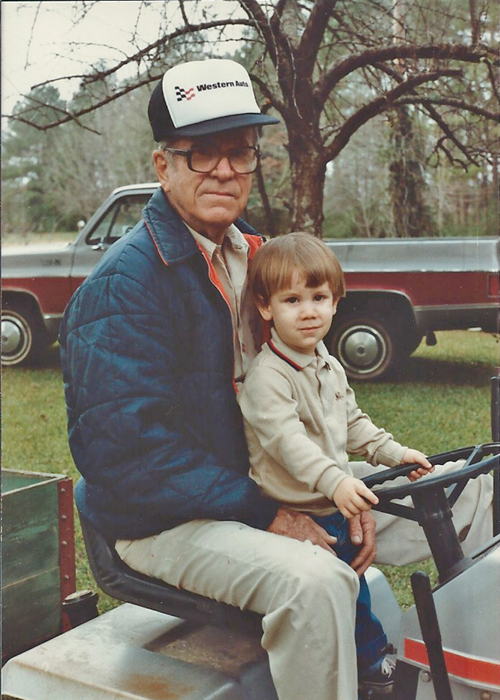 My first experience with gardening and landscaping was with my grandfather, Jim Dickey. 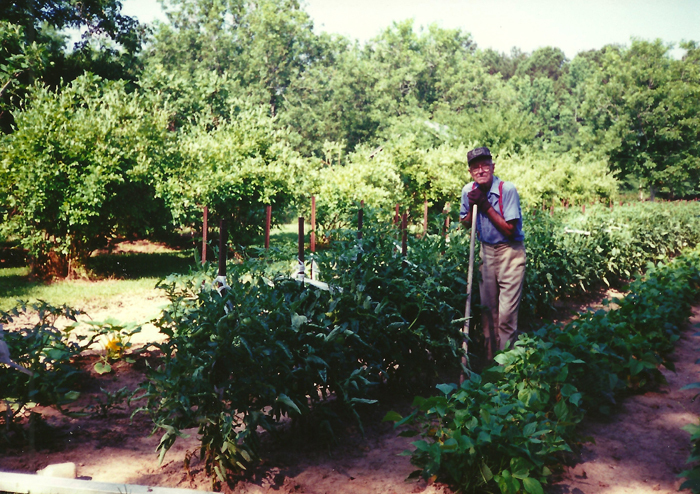 As my main Christian influence, Pap taught me many life lessons through the mundane chores around the garden. “If you look at life from the right angle”, he said, “you’ll find that God’s fingerprints are all around you.” I always looked forward to the weekends I would spend working along side him. He got really cheap labor, and I got invaluable lessons; I’d say that we both had a pretty good deal! I had the privilege of being taught Godly principles, along with the ins and outs of botany, at a very early age from a man I respected greatly. I spent many summer weekends in Monticello with Granny and Pappy. 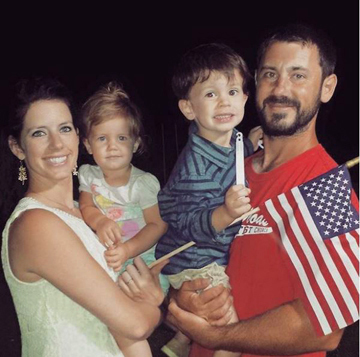 I would do all I could to help manicure their 2­acre lawn and 1­acre garden. I was primed and ready for my first job with Brent’s Nursery and Landscape Co. I fit right in to their landscape crew, installing award­-winning designs for homes and businesses in the greater Jackson area. I worked for Brent Day every summer while attending Clinton High School. After graduating CHS, I attended Hinds Community College, while continuing to work for Brent's. The Drafting and Design program at HCC proved very beneficial as I took on more responsibility with estimates and designs at work. Brent Day built and maintained a highly respected landscape company, and I am still humbly grateful for my employment there. I’ve always known that I would be in business for myself, some day, some how. I started my landscape business unofficially in the latter part of 2000 with a shovel, a wheelbarrow, and a dream. In 2002, I committed to building my landscape business full time. It’s been a fun­-filled, challenging adventure. In July of 2006, I had a serious accident resulting in a broken neck and several fractured vertebrae. That’s not a prognosis that anyone wants to have to deal with - especially not one who depends on their ability to physically perform for their income. Towards the end of September, 2006, I removed the neck brace and walked out of the hospital with a clean bill of health. To GOD be the glory! During the three-month recovery, I had plenty of time to pray and plan, to ultimately grow a business that would provide for my family regardless of my physical performance. The concept of Imperial Contracting Group was formed. I wanted to diversify our service spectrum and surround myself with qualified professionals in similar industries. Today, we have woven together a very strong network of phenomenal contractors, providing a broad scope of landscape construction services to a diverse client base. In October of 2007, I married Mandy Hull, the love of my life. Mandy is a very talented dance instructor, a creative lover of the arts and a wonderful mother to our two children, Camden and Linley. Here at Imperial, we look forward to serving anyone who will accept our services. We aim to please, and God willing, we always hit our mark. Now that you know about me, tell me something about you: How may we serve you?